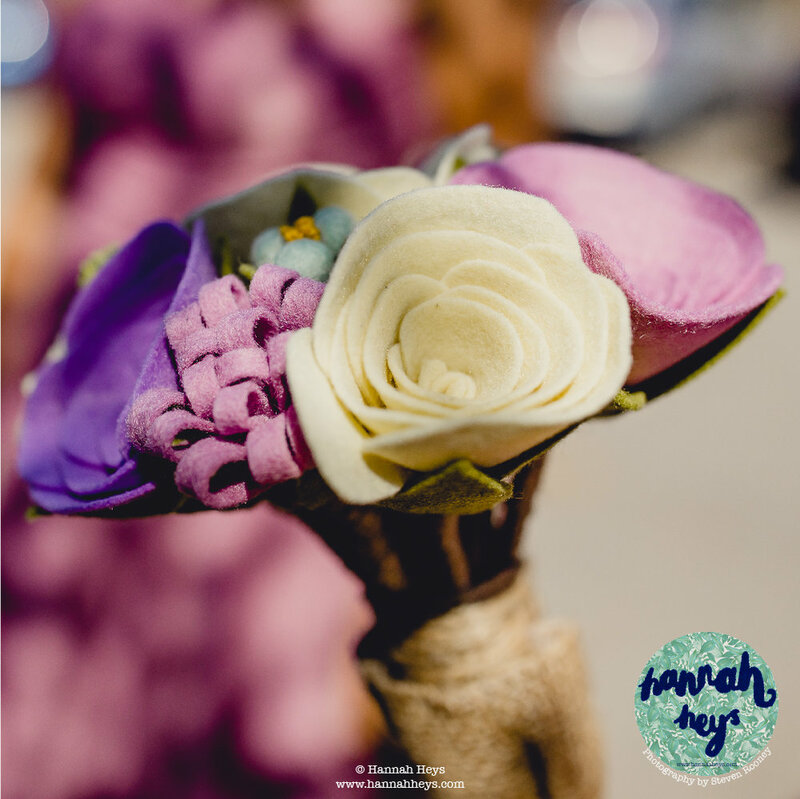 Each petal is hand cut and seed individually stitched as a french knot to make these personally crafted bouquets. 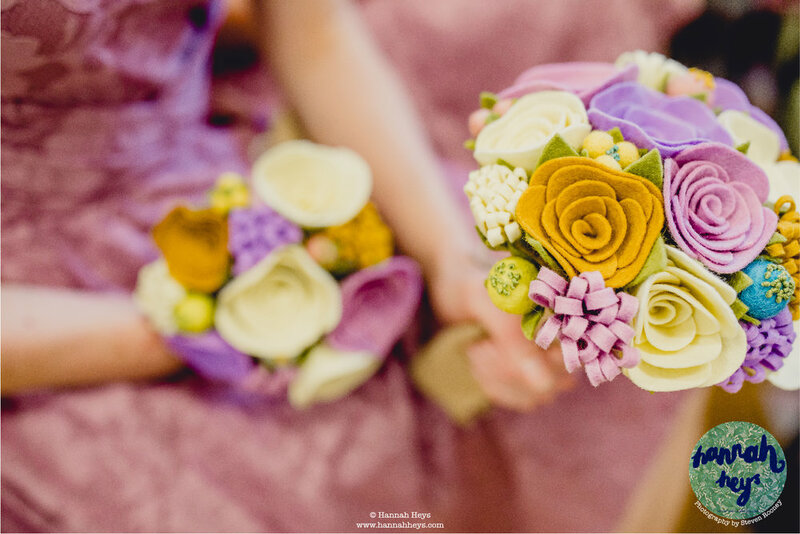 Each bouquet and button hole is hand made after careful consultation with you to match the colours and styles fitting with your occasion, whether it is for a wedding or just a gift for someone special. 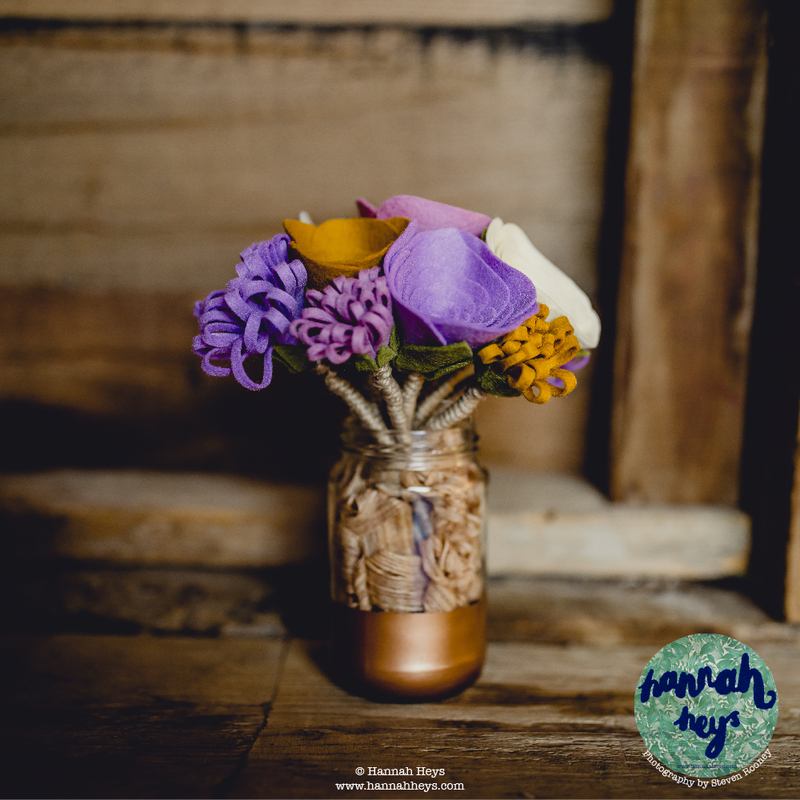 Please get in touch for a personalised quote and package options via studio@hannahheys.com if you are interested in having a bouquet, table decoration or button hole made for yourself. 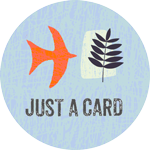 Each order is unique and quoted on a case by case basis, as an example a bouquet of 7 roses, 5 thistles and 2 seed heads start at £160.00 as a part of a wedding day package.